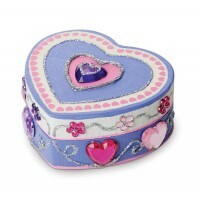 Now you can say it, and beautifully personalize it with this girls deluxe 63 pc artistic stamp set! 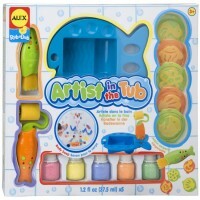 Now you can say it, and beautifully say with artistic stamp design! 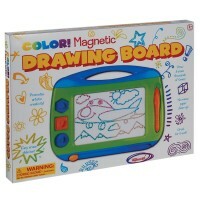 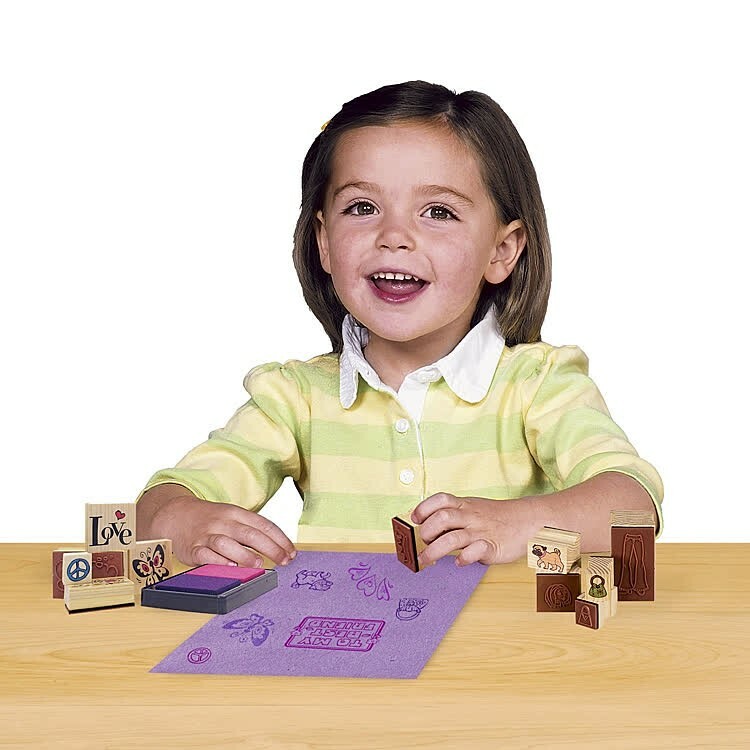 This T.S.Shure girls deluxe stamp set is a treasure trove for artists at home or at school. 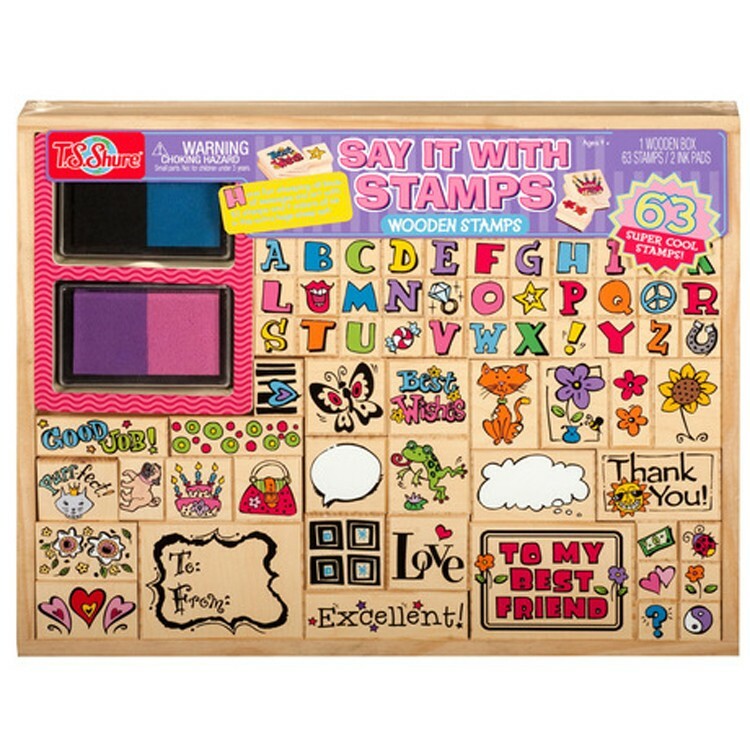 Say It with Stamps 63 pc Wooden Stamp Set by T.S.Shure includes 63 different rubber stamps plus 4 colors ink pads (black, blue, pink and purple). 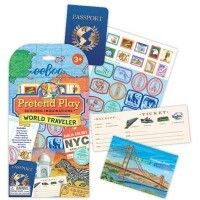 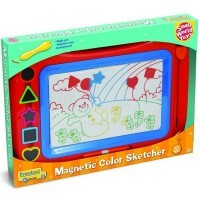 The stamp ink in the stamp pads is non-toxic and washable. 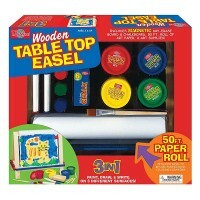 Art supplies in the stamp set from Educational Toys Planet are easy to keep neat and organized in its own wooden box with transparent lid. 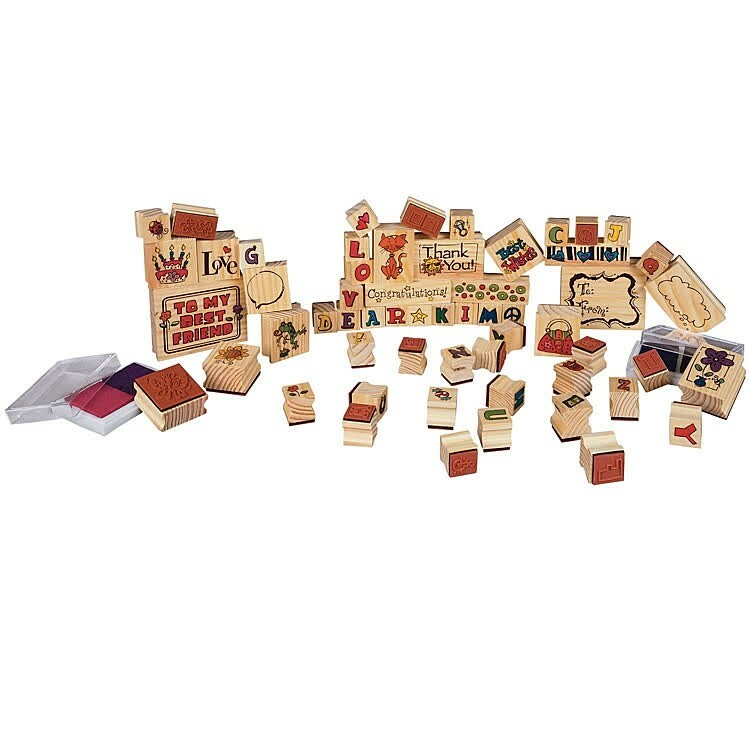 Say It with Stamps 63 pc Wooden Stamp Set comes with super cool stamps featuring artistic font letters, flowers, greetings, cheer phrases, girls fashion accessories, pets, hearts, friendship signs, and much more! 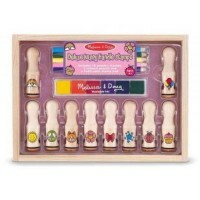 Use this stamps super set to create greeting cards, personalize messages, add artistic touch to friends notes, make unique gift tags, and other cool crafts! 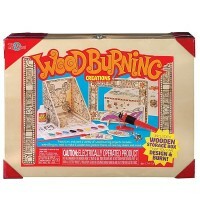 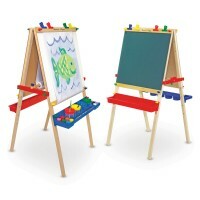 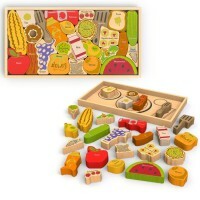 Write your own review of Say It with Stamps 63 pc Wooden Stamp Set.